Gyari Lodi has played a very important role in exiled Tibet. In his identity as the Dalai Lama’s special envoy, he has two key areas of responsibility: one is the relationship with the United States, the other is contact with China. 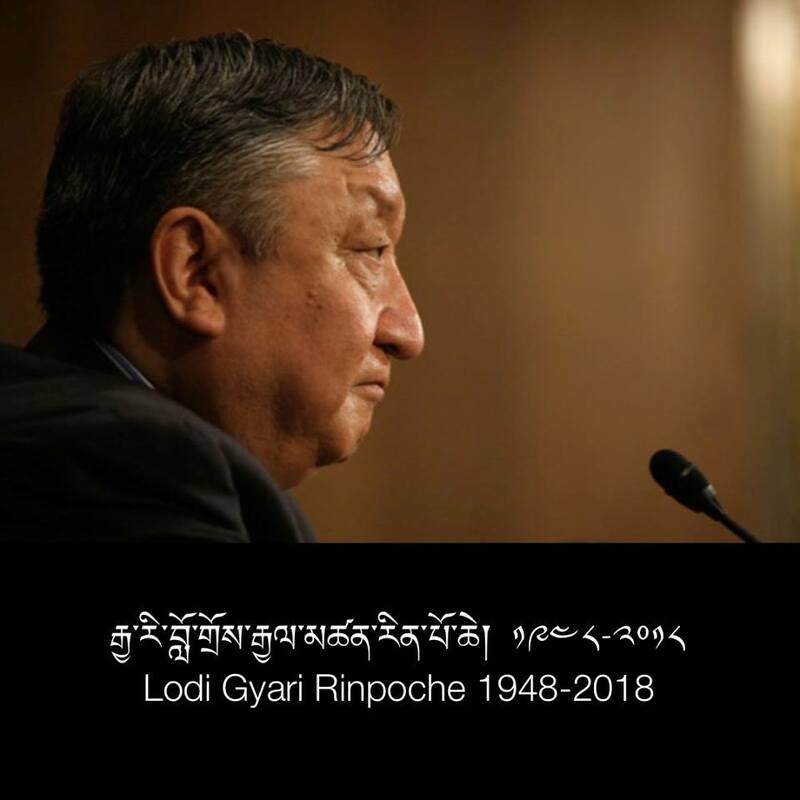 To some extent their relationship with the United States can be seen as the lifeblood of exiled Tibet, and this relationship rests almost entirely in the hands of Gyari Lodi. He has lived in the United States for decades and worked for years, creating countless relationships among the upper echelon in America, from the White House to Congress to celebrities; he can handle them all with ease. In this regard, there’s no one in exiled Tibet who could take his place. His achievements are known and recognized by all. Woeser wrote an article about this, entitled “Talk talk, watching the Special Envoy’s hair turn gray, I feel sad.” The article says: “From 2002 to 2008 we could all see it, talks occurring every year, every year has long days and short days, and the representatives of the Dalai Lama and officials from the Chinese Communist Party United Front Work Department meet up; what they talk about isn’t very clear to the outside world, but what their talks won’t do is very clear to the outside world… There’s never a miracle, all we have is the cold truth becoming increasingly clear, that during the talks which take place far from Tibet and out of sight of the people of the Land of Snows, the representatives of the Dalai Lama turned into China’s alleged Tibetan compatriots returning to visit China. During the recently-concluded seventh meeting, the Chinese official media referred to “repeated requests from the Dalai’s side, reporting that even the Chinese side can’t stand it, saying that these aren’t negotiations or talks, they should be called reprimands.” Woeser’s article concludes: “All of this media attention means we’ve seen the Special Envoy’s image many times. Taken six years apart, his exhaustion and aging is surprising and sad - is his white hair from age, or has it been accelerated by the talks? So then, how many more times do you want to talk? Can’t the two sides end this game of cat and mouse that has no end in sight? These words aren’t a compliment, they’re my sincere thoughts, and it’s basically the same as an article I wrote entitled “The Talks Without Results have an Impact.” From his demeanor, Gyari Lodi seemed quite perceptive as I spoke. However, I later learned that he had seen my article earlier, because his people translate Chinese articles about him into Tibetan, and it’s said that he takes those articles very seriously. The impact of my saying this, as Chinese person, wasn’t the same as when Tibetans say it. 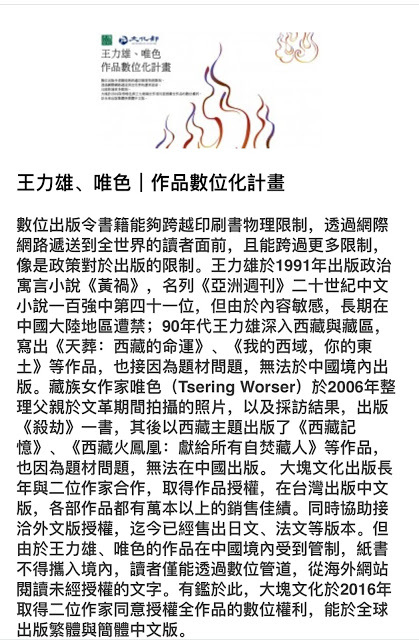 Tibetans generally appreciated my article, including the Communist Party’s aging Tibetan high official Phuntsok Wangyal, who included it in a letter to General Party Secretary Hu Jintao on how to resolve the Tibet issue. This put my conclusion in an important position. Tibetans regard the Dalai Lama as the key to the Tibet issue, both out of great trust in and reliance on the Dalai Lama, but also because of the great difference in strength, as Tibet has almost no capital with which to compete with China. He undoubtedly greatly increases Tibet’s weight and bargaining power, and can also inspire confidence among the Tibetans. Later some people looked at the dates; my article was published in 2000, the Chinese government began contacting the Dalai Lama in 2001, and in 2002 they began talks with the Dalai Lama’s representatives. Could there be a connection? Although the purpose of my article was to encourage Beijing to be wise, I had no expectation that they would really put these solutions into practice. Even if they hear about some thinking from outside the system, this small and unseen abacus can’t change the underlying strategy, and no one is being responsible for the nation’s long-term interests. I later met Professor Elliot Sperling of America’s Indiana University in Dharamsala. He believed that the only purpose of the talks between Beijing and the Dalai Lama is to get the Dalai Lama to repeatedly declare to the world that Tibet belongs to China and that Tibet does not pursue independence, depriving appeals for independence inside Tibet of their legitimacy. Beijing has largely achieved this goal. On October 29, 2008, British Foreign Secretary Miliband said, in a statement on the British Foreign Ministry website, that the British government explicitly recognizes Tibet as a part of China and that China has sovereignty over Tibet. This is the first time in history that Britain formally recognized China’s sovereignty over Tibet. Although everyone on Earth knows that Britain is doing this as a transaction to get China’s help during the financial crisis, when Woeser and I met the Counsellor of the British Embassy during a party in Beijing and asked him about it, he responded that even the Dalai Lama has acknowledged Chinese sovereignty over Tibet, and that we can’t refrain from acknowledging it if he doesn’t. Back then, I looked at one the proposals in my article: “Early on he (the Dalai Lama) expressed his acceptance of ‘Tibet staying in China,’ if said in a legal statement, could completely legitimize China’s sovereignty over Tibet, immediately resolving the long-standing Tibet issue. One of the reasons for the dispute over Tibetan sovereignty is the lack of such a legal statement in line with international norms. The Dalai Lama is an internationally-accepted representative of the Tibetan people, and if he were to sign such a statement it could be regarded as the Tibetan people’s choice, and would be the best guarantee for putting an end to Tibetan independence. 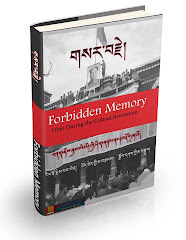 There would be no need to mention Tibetan independence ever again in Tibetan or Western society, and the tangled history would be limited to academic debate, with politics written off. Such a legal statement could only be recognized by the world if it was written by the Dalai Lama, and only the Dalai Lama could get the majority of Tibetans to agree.” If Beijing was really inspired by these words, then what I advocated – resolving the Tibet issue through dialogue with the Dalai Lama – was cast aside, and the negotiations were only used as bait, inducing hope in the Dalai Lama to get him to repeatedly declare to the world that Tibet is not independent, achieving the effect Sperling spoke about. This certainly wasn’t my intent, and the idea pains and torments me, but some Tibetans still think I gave the Chinese government this idea. In addition to replacing “Dalai Lama” with “Democracy,” I also added the word “resolving.” At the time there were many people who put the title of my article as “The Dalai Lama is the Key to Resolving the Tibet Issue,” and I always wanted to correct them by pointing out that the word “resolving” isn’t there because, as the article says, “if handled poorly the same key that opens the door can also be the key that locks it shut.” I think it’s very important to highlight this point for China, because where China is concerned an independent Tibet certainly isn’t the solution to the Tibet issue. But if we see democracy as the key, then the resolution of the Tibet issue has been put into the hands of the Tibetans themselves, and now independence is fine, and staying within China is fine too, they’re both resolutions. Moving the issue from China’s hands to Tibet’s hands is a natural change. And I haven’t changed my position because I’ve changed, but rather because those who decide China’s position haven’t changed, forcing me to make a change. There’s another reason for this. When people are young, they think they have more time. Back in 2000 I felt like 2020 was very far away, so I wrote in the article that “the Dalai lama is 65 years old, and with today’s standards of human health it’s no challenge to live for another 20 years. China’s political transformation will almost certainly arrive within the next 20 years. With these time constraints, the Dalai Lama’s role is very important.” After another decade the Dalai Lama is almost 75, and the Communist Party believes it has entered “the best period,” and now at this age I know that another decade will pass by very quickly, and the Dalai Lama will be 85, and I dare not conclude that China’s political transformation will certainly arrive. So, I need to take into account a scenario where the Dalai Lama passes away while the Communist Party still holds power, and the Tibet issue still hasn’t been resolved. Without the Dalai Lama, what could be the key? In my view there is nothing other than democracy. Tibetans don’t necessarily like the idea of changing the key to the Tibet issue. “The Dalai Lama is the Key to the Tibet Issue” has become a common saying, and many people know the title of my article. If I change it, would that be misunderstood as me losing confidence in the Dalai Lama? Would it bring other reactions? Gyari Lodi’s assistant, Bhuchung, tactfully told me not to put it that way in public. Bhuchung is the Vice President of the International Campaign for Tibet, which has tens of thousands of members and is one of the most powerful Western organizations working to aid Tibet. He’s also a member of the Tibetan negotiating delegation, so it’s reasonable to say he doesn’t have a lowly position, but the impression that he gave me was that he’s mainly an assistant to Gyari Lodi. Many of Gyari Lodi’s affairs are handled by Bhuchung, and he arranged my first meeting with Gyari Lodi in 2000. With other people Bhuchung is often cracking jokes, whereas in front of Gyari Lodi he always maintains a respectful and subordinate posture, like a secretary always ready to take notes. He was there every time I meet with Gyari Lodi, but he almost never made any statements. Suggesting that I not publicly change the key was the first time he ever expressed his own opinion to me, and I could see that he either strongly disagreed with the idea himself, or knew clearly that Gyari Lodi would agree. But Gyari Lodi himself didn’t echo Bhuchung’s statement; he told me a story: He had recently met an old lama who had come out of Tibet in Nepal. The old lama was very troubled by the impasse in the Sino-Tibetan dialogue- with the Dalai Lama’s age increasing, once he was gone what could Tibet do in the future, who could they rely on? The old lama hoped Gyari Lodi could give him an answer. Gyari Lodi told him not to worry, because the Dalai Lama already has a madey trulku. Madey trulku refers to a Tibetan Buddhist rinpoche (called ‘Living Buddha’ by the Chinese) who personally selects their reincarnation while still alive and instructs and nurtures the reincarnation before they die. This way the reincarnation can take over immediately after the previous one passes away, thus avoiding the interval between two incarnations of a rinpoche. The old Tibetan lama was very surprised when he heard Gyari Lodi’s words, and asked, “Where is this madey trulku?” Gyari Lodi replied, you ought to see it! Madey trulku is by the Dalai Lama’s side every day, and is carefully nurtured by the Dalai Lama, and has already begun to shoulder the heavy task of leading the Tibetan people. The old lama asked, even more urgently, who is this madey tulku? This time Gyari Lodi smiled and told him- it’s democracy! I’m doubtful about this kind of argument. I’ve analyzed the exiled Tibetan democratic system, and if this system were implemented in Tibet in the future it’s very likely that there would be a trend towards the pursuit of Tibetan independence, defeating the Dalai Lama’s promise of “remaining in China.” Then Chinese ethnic sentiment would also use the banner of “democracy” to defend the country, inciting large-scale Chinese support. The result of democracy would be war between Chinese and Tibetans (including other minorities who seek independence), which would bring disaster to both peoples. In this the Tibetan people would have more to lose, while fascism would return to China. I see it like that because the transition from authoritarianism to representative democracy is often accompanied by a serious “public square effect,” in which the elite, the public, and the media have extreme interactions. The elites fight over popular votes, the public grows more intense because of elite incitement, and the media links the entire society together, like a group of people in a public square becoming more excited, cheering, or creating a disturbance. Especially during early democratic transitions, political parties and the media suddenly have free space, but a system of checks and balances has yet to be formed. The goal is to stake claims, and all parties fight for the upper hand, to see who can get the most votes and popular support. On any topic – for Tibet, it would be independent statehood – there’s extreme speculation, so that social sentiment increasingly runs in just one direction. Modern media and communication technologies can greatly magnify this “square,” expanding it rapidly, so that rulers and power blocs can only give up on rationality and join the “square.” The “public square effect” is an important part of why modern democratic transitions and ethnic conflict go hand in hand. If Tibet doesn’t want to fall victim to Bosnian War-style bloodletting, it must seek to avoid the “public square effect” democratic model, instead of just unthinkingly taking the concept of democracy to be a politically-correct concept. Although there are successful democratic models in the world, that doesn’t mean that societies with different base conditions can adopt the same model. Copied carelessly, democracy very rarely produces pleasant fruit. It’s easy to see that in reality, some countries that copy the same democratic model get real democracy, others get the mere form of democracy, and others remain essentially authoritarian. This is enough to explain the problem with copying democracy. When people do small projects there are normally several options to compare and choose; how can there be just one model for implementing social changes? In the end, what kind of democracy does exiled Tibet have? The institutional design on paper is another copy of the Western representative framework. If we can say it has a difference, it’s in the combination of politics and religion. Is that a step forward, or backward? This is debated within the exile community. However, after a system is implemented it creates “inertia,” just as “path dependence” makes raw rice into cooked rice. Vested interest groups form within the system, which use the rules to hinder any changes to the system. They’re strong inside the system, and the rules are in their favor (which benefits them, and makes them strong), and want to use the rules themselves make it almost impossible to change the rules- and this is why social change sometimes requires revolution. In a so-called revolution the old rules are essentially unable to make change, and so the original rules are abolished and a new set of rules are created to make change. There are two types of revolution: bottom-up and top-down. The former requires the transfer of power and the overthrow of the old authorities, and the implementation of new rules by new authorities, which often leads to significant unrest during the process of taking power, and comes at a significant price. In the latter, the original power-holders consciously carry out what is referred to as reform or change, but in fact this is also a revolution in which the old rules are abolished and new rules are created. It costs much less, as long as personal interests are put aside, and with far-sightedness, wisdom, and skillful operation, the resistance of vested interests of the high-ranking authorities can be overcome. Someone who can play this role only comes by once in a hundred years, or perhaps a thousand. Saying it like this seemed to be more acceptable, and everyone seemed satisfied. While I waited in America to head to India I repeatedly contacted Gyari Lodi, and met with him in his home a good number of times, eating meals prepared by his wife. He often received important people, I forget their names; not American senior figures or State Department officials, but Indian defense ministers and their like. I used each of our contacts to speak about topics related to democracy by stages, and although it wasn’t clear what he could do to help, he had a high position and having his support would always have some benefit. “I believe you’re very clear about democracy by stages, but, like in tantric study, will the disciple be able to learn? Looking at opportunities and blessings, I still don’t have this good fortune, but I’ve certainly taken advantage of your time here to take the opportunity to thoroughly understand it. Or so I’d say! Our Tibetan Buddhism has terma and to retrieve them you need a dakini [a female being who acts as a muse for spiritual practice], which you already have, but you also need Dharma Protectors, and I can be one. Today is the first day of Saga Dawa, indicating good fortune in the future. “Saga Dawa” is the month-long festival for Tibetan Buddhists commemorating Sakyamuni’s birth, enlightenment, and death.